What is call to actions? CTA or call to actions is the phrase or button that helps to generate traffic for your website. It is may be the most important phrase or button as it drives your customer to a conversion, whether it is signing up to your weekly newsletter or even booking a reservation. Why do you need a call to actions button? Today, consumers see marketing messages almost every hour. They are so likely to just skip it as they are continuously bombarded with messages that may not be relevant. To get the attention of your customers on your website, you need to guide them through a relevant customer journey and provide them with an enticing call to action. Guide them eloquently through your website and place an authoritative CTA to increase a higher chance of conversion. Here are some examples of call to action buttons that have successfully worked. 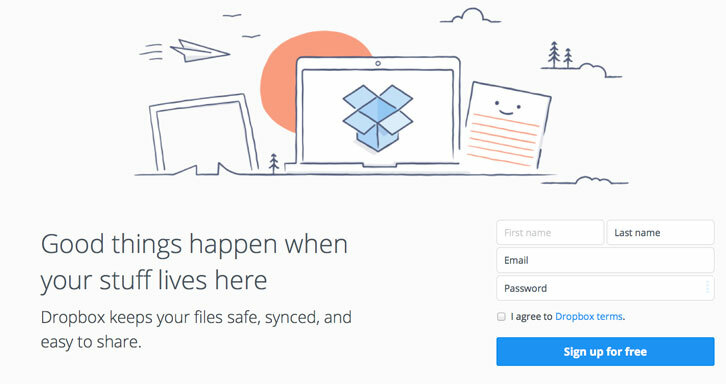 As you may know, the Dropbox website has a relatively clean design and has less content than most websites. The whole website is dominated with gray color, but has a blue CTA button with the phrase “Sign up for free” standing out. The design of the website is dominantly black with hints of red. Here we can see the CTA phrase “Join free for a month”. The button is in red and is outstanding compared to the whole website. 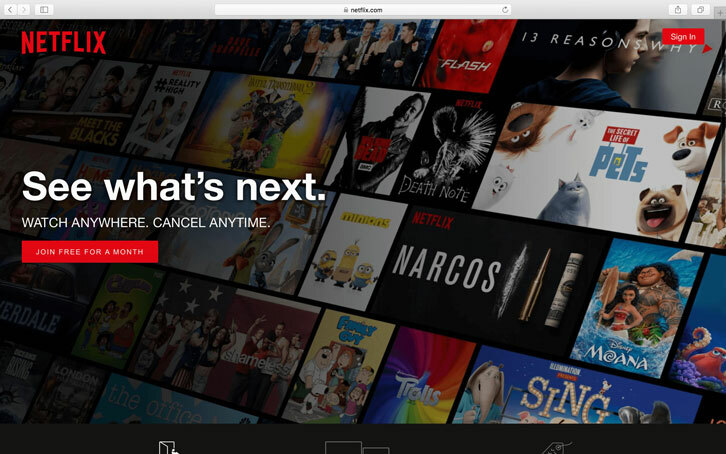 Besides that, Netflix reassures the customer with pain-free subscription cancellation by putting the copy, “Cancel Anytime” above the sign up button. This gives the customer a sense of freedom of signing up without a long-term commitment. Surely, it helped customers to convert. 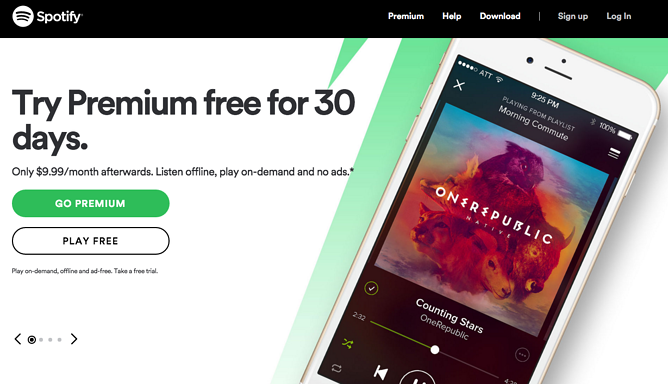 We can immediately see that the main objective of Spotify’s landing page is to capture music listeners who are willing to pay. The button of “Go Premium” clearly stands out as the main button since it has a different color compared to the white “Play Free” button that blends in with the other text. Not only Spotify gives a strong CTA, but it also gives two CTA options for customers to choose from. 1. Make it simple and effective. 3. Keep your goal in mind. 4. Use authoritative verbs e.g. buy, shop, order, subscribe, download, etc. 5. Create a FOMO effect. Make sure you know the goal behind your CTA. Refine your copy so that it answers the specified goal – whether it is a form submission, room reservation, or other types of lead generations. If you still have a hard time making your call to action, you can always contact us! We offer website design with copywriting services. Let’s chat!